Chris Weisman is known in part for how wildly prolific he is—in the past seven years the Brattleboro, Vermont-based songwriter has released nearly twenty full-lengths, each full of short tunes concentrated deeply inward or far outward to the strange minutiae of daily living. It follows that he’s a bit of a chameleon; there’s no quintessential CW, as every release introduces a new realm of play. As he said in an interview with Impose last year, “It makes me feel like a salesman to keep playing the same song over and over.” The Holy Life That’s Coming, released on NNA Tapes last spring, was rather streamlined in sound, showcasing a lyrically driven Weisman against a resonant acoustic guitar and the occasional keyboard. Now Weisman’s loosing unto the world a glimpse into a past of more myriad sounds with Hi, an album of previously unreleased songs recorded in 2009. “Makachi” opens the record with a rolling drumbeat and bouncing guitar line, introducing horns and the blips of synths to scaffold Weisman’s voice. Big drums and flanged guitar enter on the sedate track that follows, in immediate contrast. These songs range from steadied pop tunes to more frenetic experimentations, though all keep a commitment to poetry, to storytelling and image-making. As always, Weisman makes clever use of language and rhyme to articulate things much bigger than their surface area. Toward the record’s center he sings, “The paradox of thrift / is that saving docks the ship / you can’t travel into space / without burning off your face.” Weisman is not opposed to undergoing a bit of burning himself—this collection is eclectic across its 18 tracks and also evocatively weird in the sounds he injects into each isolated song. “Pigs of Glass” forecasts Weisman’s more recent work, with his vocals gliding over an acoustic guitar in his recently characteristic swaying, folky cadence—but in the latter half it strays, his voice replaced by electronic blips that together evoke a shattered, glassy harmonica. 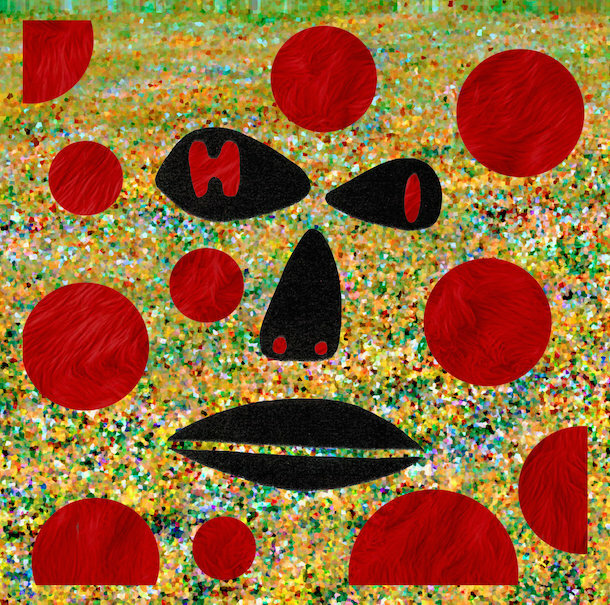 A kaleidoscope of sounds that introduces us to the various faces of his younger self, Hi is nonetheless strikingly warm and graceful in its turns; Weisman makes each song he sings into a love song. “I don’t wanna hide in the waste of a mask anymore,” he sings solemnly on the final track, over a thick host of swirling synths. What we’re hearing is the lifting of a mask, warm and familiar even as Weisman traverses unfamiliar planes. Hi is out now on OSR Tapes, and you can stream eight tracks from the album below. On April 10, Weisman will be performing his first solo set in NYC, at NYU’s Kimmel Center alongside the Hartley C. White Project.